Research is a key component of leadership in healthcare. Resurrection University aims to hold an active role in supporting research at every opportunity. The Resurrection University Institutional Review Board (IRB) reviews potential research projects in conformance with federal regulations. 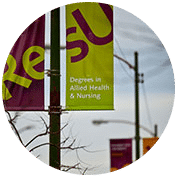 The ResU IRB works to ensure that all research conducted by members of our community, or by people outside of the ResU community, meet the highest scientific and ethical standards. The IRB specifically assures the safety and welfare of the people who participate as subjects. The Institutional Review Board (IRB) will serve the institution’s mission by reviewing and assuring compliance with all policies and ethical principles for research with human participants as outlined in the Resurrection policy and in the federal regulation 45 CFR Part 46 (also known as the “Common Rule”) for all research and quality assurance projects that involve Resurrection University students, staff, faculty, or are conducted on University campuses and extensions of the campus. With respect to internal survey research, a proposal must be submitted to the Office of Institutional Research for all internal survey research related to operational activities and internal management. This includes: research surveys conducted for program evaluation, quality improvement and assurance studies, program auditing, and marketing studies. The IRB will determine if the research proposal for internal purposes qualifies an exempt IRB review or if the research proposal must progress to a formal IRB review process. All research or quality assurance projects that involve data that are protected by law must have IRB approval before data can be collected or accessed. Failure to follow instructions carefully may result in your application being returned without review. 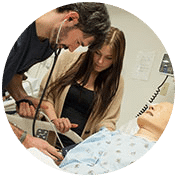 All investigators (student or faculty) must complete an appropriate Human Subjects Protection in Research training prior to preparing the IRB application. A certificate of completion for all investigators will be required with your application. Carefully read the IRB Review Categories descriptions and refer to the federal regulations 45 CFR Part 46 to determine which category of review will likely apply to your study. Review the guidelines for the informed consent process and the utilization of incentives before writing your application. This information is critical to the IRB review process, and copies of your developed informed consent, survey instructions and/or oral consent scripts, and methods of incentivizing must be included in the application. All correspondence regarding your research proposal should be sent to the IRB at IRB@resu.edu and must have your project number in the subject line of the email. Students: All IRB submissions must have a supervising faculty advisor signature included as an investigator. The IRB cannot accept applications, modifications, continuing reviews, or study closure reports without faculty signatures. Please be sure to work closely with your faculty advisor or capstone committee chair when developing your application to reduce the chances of your application being returned without a review or without an approval. No research project involving human subjects can begin until written authorization is received by the investigator from the Resurrection University IRB. The final determination of the appropriate type of review is determined by the IRB. If an investigator applies for an exempt review of a research proposal and the IRB determines that an expedited review is more appropriate, the IRB will notify the investigator and request a new application. Reminder: If the proposed research protocol involves collecting audiotape or videotaped data sets, the project does not qualify for exempt review. For these proposals an expedited review will be required. If the proposed research protocol involves more than minimal risk to the potential subjects or involves a vulnerable class of persons under the federal code, minors, prisoners, pregnant women, disabled or mentally disabled persons, the project will not qualify for exempt review or an expedited review. For these proposals a full board review will be required. Please complete the appropriate application form(s) and the conflict of interest disclosure form. 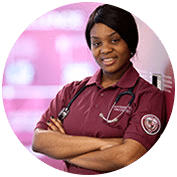 Obtain copies of additional required documentation of Protection of Human Participants in Research certification, as well as FERPA training certification, and HIPAA training certification as appropriate. With the application, investigators will need to submit copies of the informed consent, investigator scripts for providing instructions to participants or obtaining oral consent, copies of the survey instrument, and written permissions for instrument use when applicable. Utilize the application checklist to be sure that you have compiled all of the necessary information. You can obtain a project number by emailing a request to the chair of the IRB at IRB@resu.edu. Obtain the appropriate signatures for the application form. 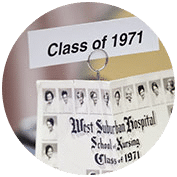 Submit the completed and signed application as one pdf to the Institutional Review Board, as well as a hard copy of the application with wet signatures (original signed copies). Incomplete application forms will not be reviewed. Students should submit their hard copy with wet signatures to their faculty advisor. The faculty advisor will forward the complete signed application to the IRB chair. Please note that the review process can take time. Please allow AT LEAST two weeks after a scheduled IRB meeting for exempt review, expedited review, and return notification. A full board review can take three to four weeks, depending upon the complexity of the research protocols. When reaching out to the IRB Chair regarding a project under review by the IRB or a continuing study, please always use the project number in the subject line of the email. Additional questions can be addressed by your faculty advisor or the IRB Chair at IRB@resu.edu. 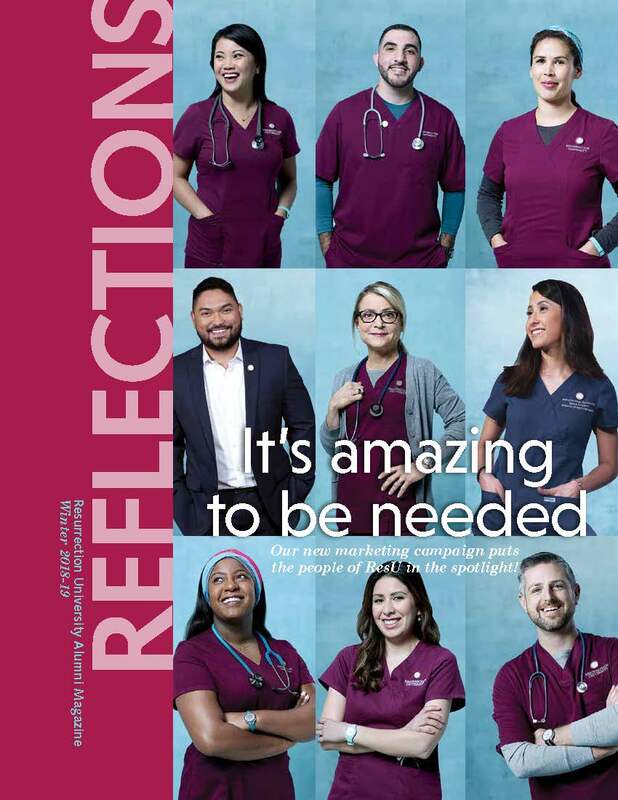 Requirements: Resurrection University requires all individuals involved in research involving human subjects to complete an approved training on the protection of human subjects and must recertify every 3 years. IRB approval for the research project will be withheld if these training requirements are not met. These requirements apply to all principal investigator and co-investigators, individuals named on a study grant or contract proposal, individuals named as a contact person in the informed consent document(s) or recruitment materials for research, individuals who obtain informed consent from prospective participants in research. IRB approval for the research project will be withheld if these training requirements are not met. Institutional Information: The officials below assure that any research or research-related activity conducted, supported, or otherwise subject to DHHS regulations (or any other federal Agencies and/or departments or entities authorized to rely on this assurance) will be reviewed and approved by the IRB in accordance with the requirements of all applicable subparts of 45 CFR 46 as well as any additional policies and procedures stipulated by the IRB. The Office for Human Research Protections (OHRP) is the federal office that provides leadership in the protection of the rights, welfare, and wellbeing of human research subjects. The OHRP provides clarification and guidance, develops educational programs and materials, maintains regulatory oversight, and provides advice on ethical and regulatory issues in biomedical and behavioral research. The Code of Federal Regulations Title 45, Public Welfare, Department of Health and Human Services, Part 46: The Protection of Human Subjects if the federal law regarding research protections for human research participants. Principal and co-investigators should be aware of the 45 CFR Part 46 and the “Common Rule” regulations when designing their research protocols. Family Educational Rights and Privacy Act (FERPA) is a federal law that protects the privacy of student education records. The law applies to all schools that participate in federal financial aid funding programs under the U.S. Department of Education. All faculty and staff members are required to complete FERPA training. For all research activities that involve student education records, verification of FERPA training must be submitted and research protocols must comply with the federal law and the Resurrection University FERPA policies. The Health Insurance Portability and Accountability Act of 1996 (HIPAA) is a federal law that provides protections for personal health information and gives patients specific rights with respect to their health information. Under the law, disclosure of personal health information is limited to professionals and providers if the information is needed for patient care or other important purposes. The law includes necessary safeguards for covered entities to use to assure confidentiality and integrity of electronic protected health information. All faculty and staff members are required to complete HIPAA training. Principal and co- investigators are required to complete the HIPAA Waiver form. The composition of the Resurrection University Institutional Review Board (IRB) is determined by the federal statute (45 CFR 46 §107), Resurrection University policy, and by expertise of the members, to best reflect the areas of research the IRB will likely review. Additional consultation may be utilized for the review of research activities in specialized subjects or that involve specialized populations where additional expertise is required. The composition of the committee includes scientists and non-scientists, academics, healthcare representatives, and community representatives. Finally, the committee seeks to attract members that reflect a diversity of interests and cultural backgrounds to provide a committee that can address a wide range of considerations in research. If you are interested in becoming a member of the Institutional Review Board (IRB), please contact the IRB Chair at IRB@resu.edu. The Resurrection University IRB reviews and approves all research or quality assurance projects that involve data related to human subjects. The IRB is responsible for ensuring that research is conducted in accordance with all federal, institutional, and ethical guidelines and regulations. All research must be reviewed and approved by the IRB, regardless of funding source, before any research may begin. Investigators seeking to submit a research proposal are encouraged to review this website thoroughly. For additional questions, please email the IRB at IRB@resu.edu. 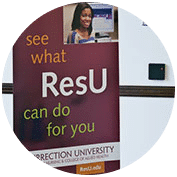 All research conducted by students, faculty or staff at ResU and all research conducted at Resurrection University must be approved by the IRB. The three processes of IRB review include the exempt review, the expedited review, and the full board review. Exempt – A research activity may be declared exempt if it is considered low-risk and the only involvement of human subjects will be in the categories outlined in federal law 45 CFR 46.101(b). This may include research that uses anonymous, no-risk tests, surveys, or observations, some types of research of normal educational practices, research involving the study of existing data if subjects cannot be identified, and some research involving public officials. Expedited Review – A research design plan may qualify for expedited review if it is judged to involve only minimal risk, does not include intentional deception, does not employ sensitive populations or topics, and includes appropriate informed consent procedures. This often includes data collection from interviews, focus groups, program evaluation, and quality assurance methodologies that provide research data on behavior, perception, cognition, motivation, identity, language, communication, cultural beliefs, social behavior, and other human factors of physical data assessed through non-invasive procedures. Full Board Review – Research that is judged to potentially pose more than minimal risk, research that involves invasive procedures or research that involves protected populations such as children, pregnant women, prisoners, or disabled individuals, must undergo a full board review. Any research project that involves the intentional deception of subjects or that subjects participants to procedures that may produce stress or potentially traumatic stress require a full board review. Individuals intending to conduct research that requires a full board review must allow ample time to complete the review process.